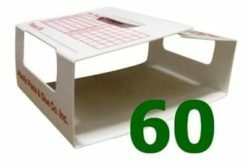 Able Catch Moth Traps | Shipping INCLUDED | buy now and save! 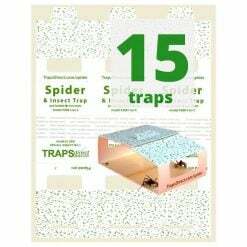 12 Moth Traps – Shipping Included! Easy Pricing – One Price – Delivered . Able Catch Pantry Pest Traps (ACPPT) – are available on our shipping included program. Just one reasonable price brings Indian Meal and Food Moth traps to your front door. The Able Catch Moth Trap by Traps Direct controls food moths ( plodia interpunctella )through the use of an Agricultural Grade time release pheromone disc that replicates the natural scent of a ready to mate adult female moth. This chemical signal lures the unsuspecting breeding age male pantry moths toward the awaiting trap. The ACPPT through the 100% larger Trap Entrance where they are trapped on the Trap Surface (which is 15%) larger than the leading moth trap. Designed with your environment in mind, no more wood grain finishes. The Able Catch has a modern natural stone pattern in a fern green color, to that matches the green moth trap design. Innovative Moth Trap Wings are built into the tab portion of the trap and can be bent backward to hang the trap on shelving, lampshades, blinds and a host of other locations. Full details can be found in the Able Catch Guide. 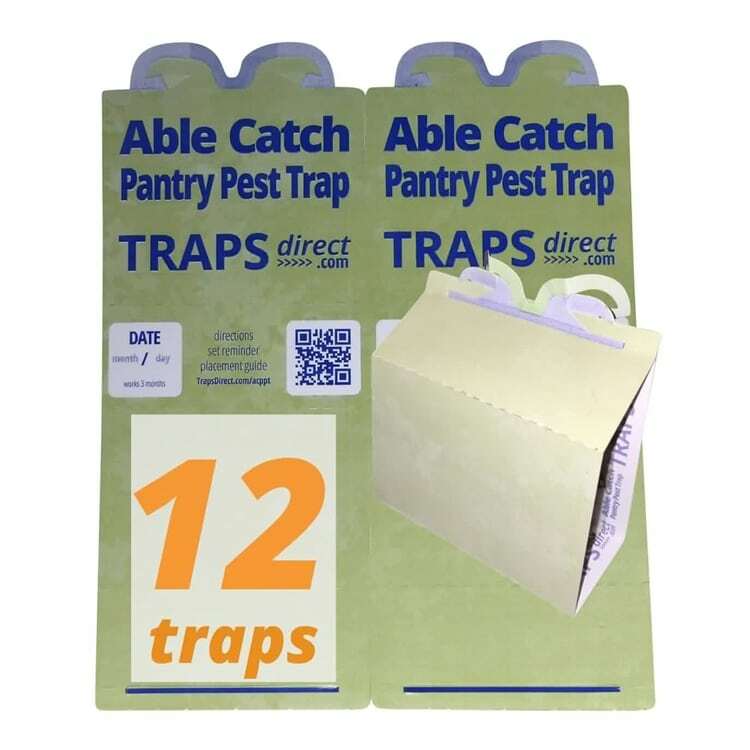 Eco-Friendly Instructions are located on the glue side of the trap. Pheromone Lures time release over 3 months once opened. able catch traps meet my family requirements: American made, non-toxic, and Eco-conscious. 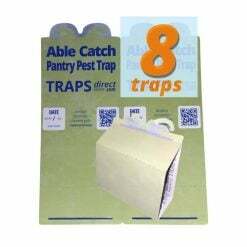 But beyond the basics requirements products need to work… These green moth traps work better than any brand I’ve ever purchased including the other brand sold on cleanertoday. The trap is larger, but because its also taller, the foot print is half the size. Just drop the pheromone lure on the bullseye and fold. Our traps in the laundry room where the dog food is store were full in 2 weeks..